Richard Parker was a professional TV writer for twenty-two years before becoming a novelist. He was head writer and script editor of the BBC. He has a new novel out, Stalk Me. 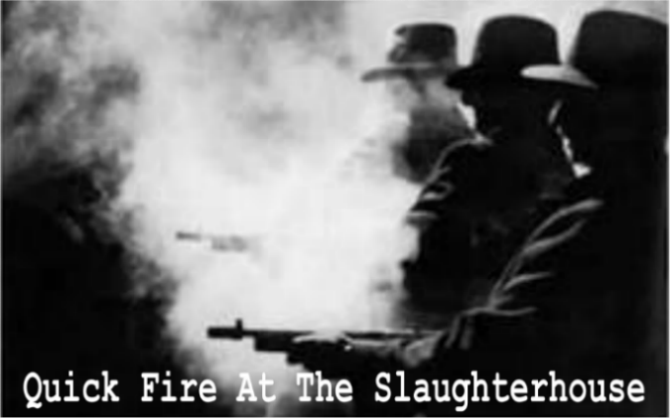 Richard met me at The Slaughterhouse where we talked about his new release and the age of surveillance. Tell us about Stalk Me. 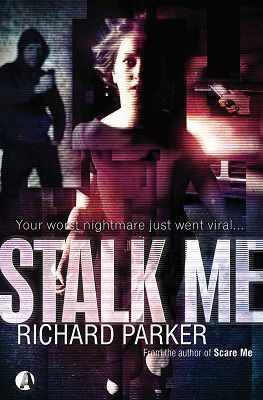 STALK ME is a stand alone mystery thriller about a woman who is involved in a severe car accident and roadside assault. She awakes to discover students recording the aftermath of the incident with their phones. She attacks them before lapsing into a coma. Upon emerging from it she finds that the clips have been uploaded to the Internet and that she has become an unwilling online celebrity. Initially horrified by this she quickly realises that, with the driver of the other car vanished into thin air, she needs the clips to piece together exactly what happened. But someone is viciously murdering the owners of the clips and deleting them. It’s an examination of 21st Century voyeurism, where clips of other people’s misfortune are used as currency without consideration for the individual it violates. The story illustrates the consequences for the victim as well as those with an alacrity to upload. Do you think the perceived threat to the self has become heightened by the fact that we live in an age of surveillance? I think this question now goes beyond the presence of CCTV. We’ve now become responsible for the surveillance of every facet of our lives through our willingness to post clips and images of ourselves on platforms like Facebook. The skill we have to master is how much to show and how much we should keep private. I don’t think we realise how much of ourselves we put out there. If someone wanted to piece together the layout of somebody’s existence then trawling through their myriad status updates would be an easy jigsaw to complete. Your novels use, as a central dramatic aspect, the elusiveness of a perpetrator’s location and identity. For all the information gathering and data mining that informs the internet, to what extent do you think it has eroded certainties and subverted confidence, and how useful do you find this as an author? I think the Internet has been very liberating for a lot of users. It gives them a barrier which allows them to interact differently to the way they would in real life. Online relationships are very different to direct, physical ones. People are more forthright with their opinions because they’re not directly facing the people they might be commenting on. The downside, of course, is that many individuals not only portray a slightly more polished, exciting version of themselves online but will hide behind avatars and false identities so they can go on the attack or behave in an unconstrained and negative way. It’s all rich territory for writers and readers, however, because I think we’re all guilty of it to differing degrees. 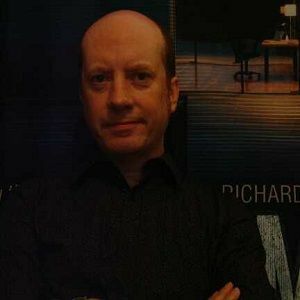 Thank you Richard for a tight and perceptive interview. This entry was posted in Author Interviews - Quick-Fires and tagged Richard Parker, Stalk Me. Bookmark the permalink.